 The Vue Apartments Blog has everything you need to throw your own movie marathon sometime this month. Movie marathoning can be a lot of fun, invite your friends over for an evening of summer-themed movies. Be sure to provide snacks (toss some healthy snacks into the mix), drinks, and comfortable seating We’ve put together a list of movies, covering several different genres, that are perfect for a weekend summer movie marathon. Ernest, a hapless counselor, takes a pack of delinquents under his wing and ends up saving the camp from destruction by an evil industrialist in the kind of fun that a camp movie is meant to have. Identical twin sisters are accidentally enrolled at the same summer camp and, after torturing each other, figure out that they’re sisters and scheme to get their parents back together. Bill Murray drives his psychiatrist, Richard Dreyfuss, crazy on his summer vacation, simply by taking the prescribed Baby Steps. Think Groundhog Day meets Independence Day — an alien race is assaulting Earth. Major William Cage (Tom Hanks) finds himself inexplicably thrown into a time loop-forcing him to live out the same brutal combat over and over. The jury box is a sweatbox, and eleven jurors have let the soaring temperature go to their heads. Thank goodness for juror number eight (Henry Fonda). Of course if staying in your apartment watching movies isn’t your style, you can head out to your favorite Fitchburg, WI movie theater and catch what’s on the big screen. Movie Insider has the info on what’s currently in theaters and what’s coming up soon. We hope one way or another you enjoy a movie this month.